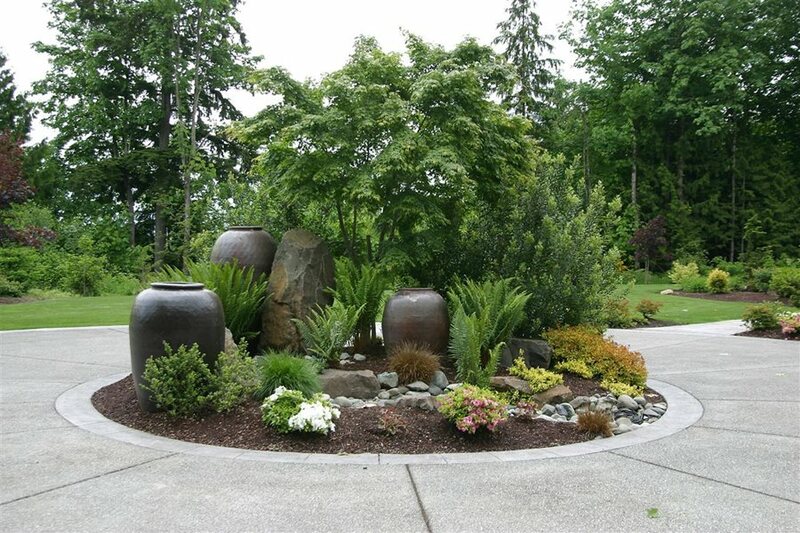 The middle of a circular driveway offers the perfect opportunity for landscaping with plants, trees, pottery and stone. 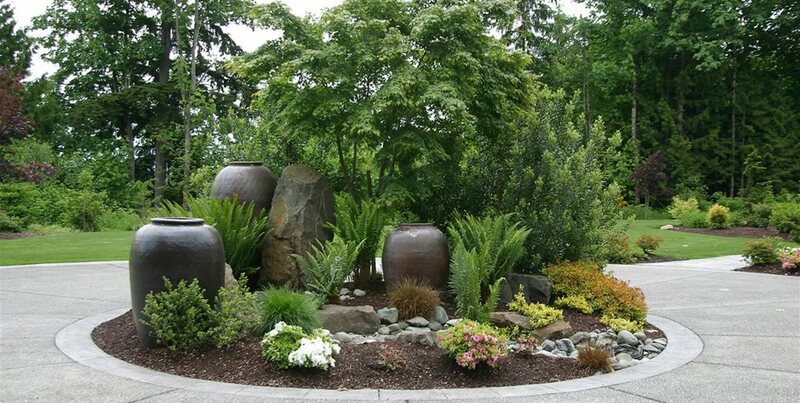 Classic Nursery and Landscape in Woodinville, WA. Heat generated by this driveway doesn't phase these agave, but the sharp tips should be pruned off to avoid sticking the driver who parks here. 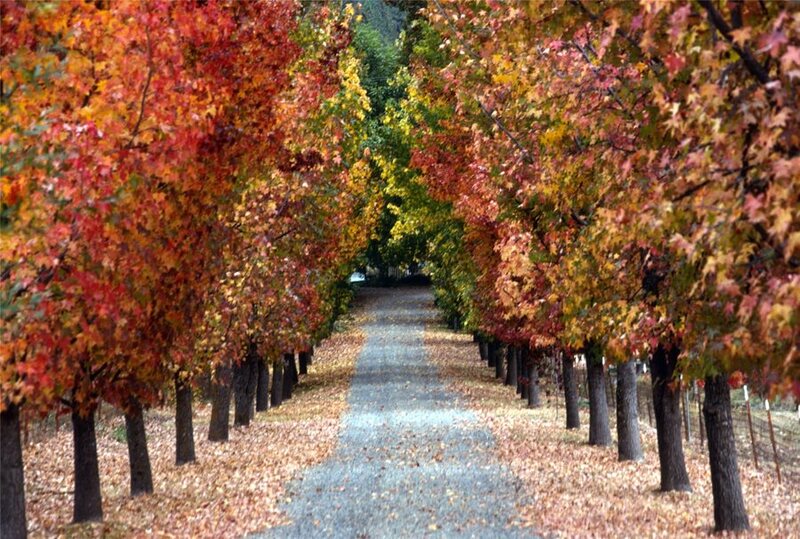 Whenever trees are to line a driveway, they must be located well back from edge of paving to ensure there is room for large vehicles to travel through without conflict, and to prevent damage to overhanging limbs. 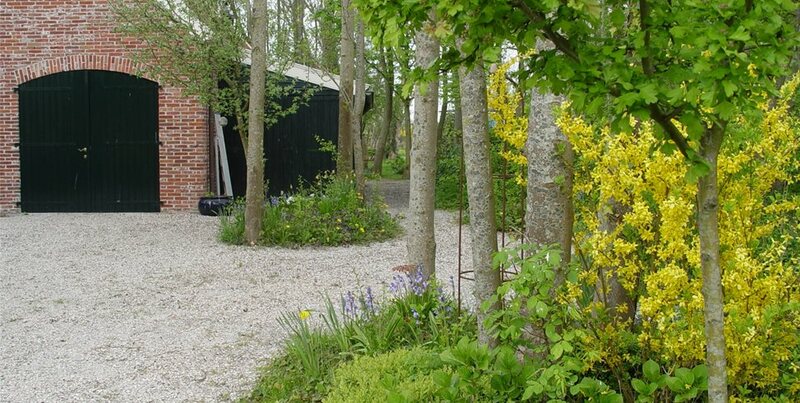 The real width of this driveway is wider than the paving with space borrowed from the edge of the gravel field with its well set back plants. 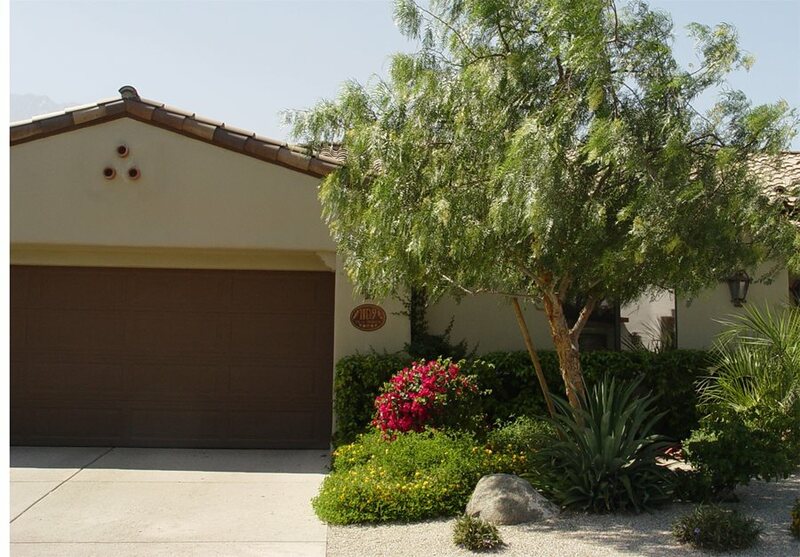 Lantana and shrub & bougainvillea offer cooling color and foliage along the edge of this hot west facing driveway. 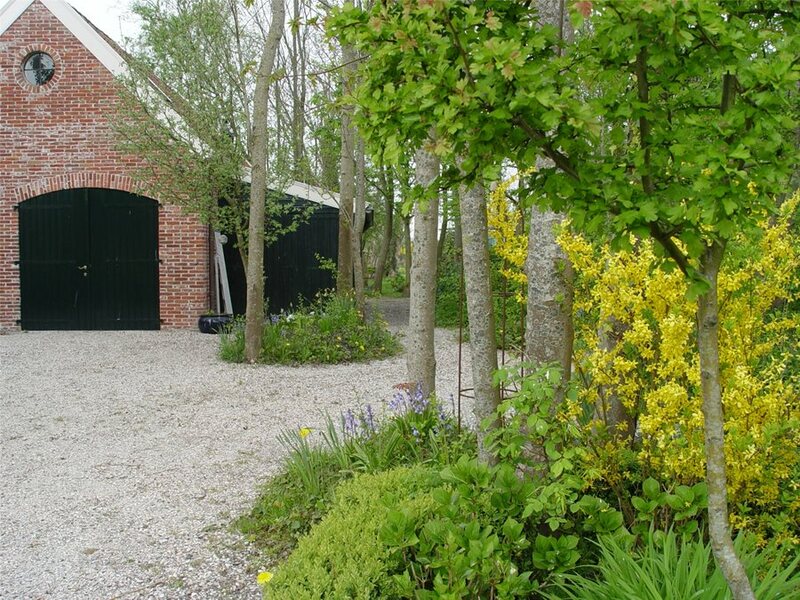 The gravel collar extends the width of this tight driveway, where annual wildflowers bloom in spring then disappear for the rest of the year. 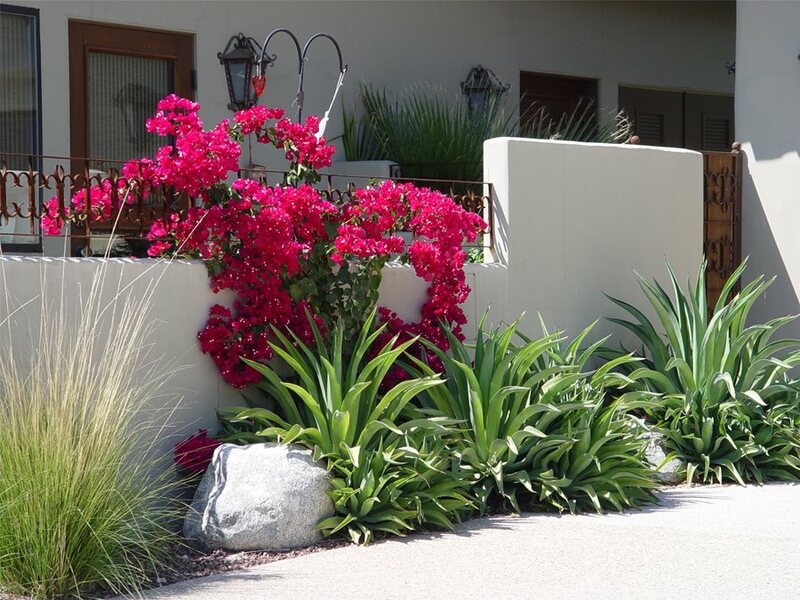 This outstanding bed of Mediterranean plants is immune to the combine reflected heat of street, sidewalk and stucco walls. 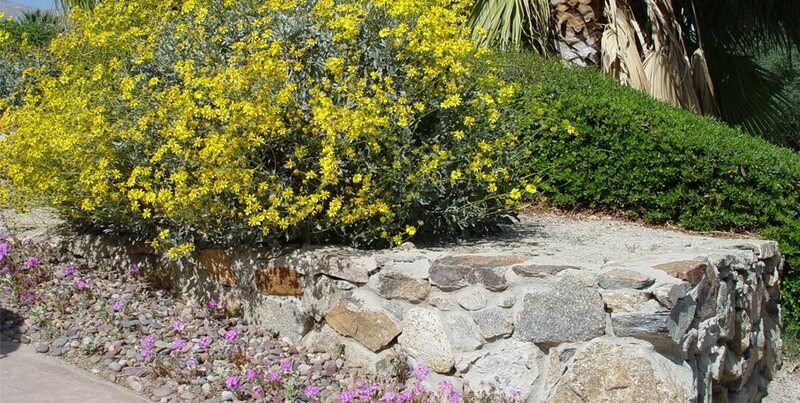 Included are Echium, orchid rockrose and brittlebush. 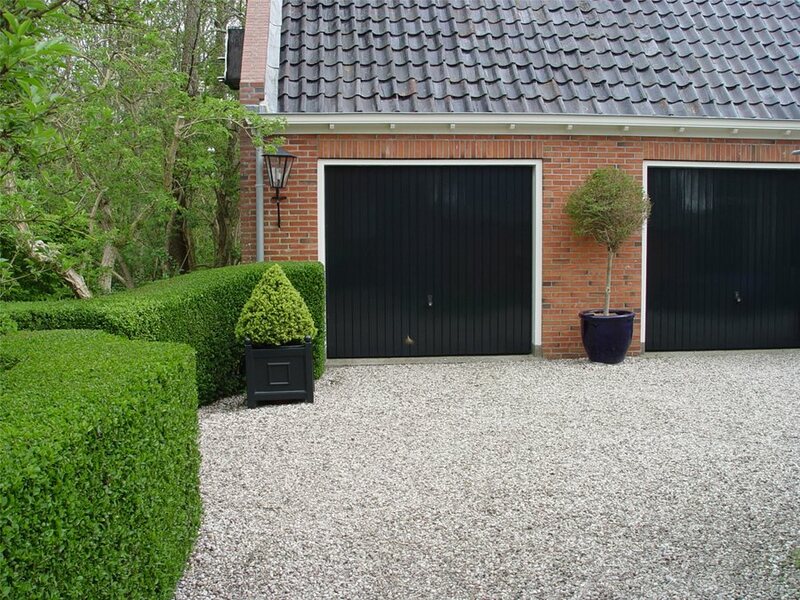 This hedge bows out to offer a bit more room for the car door to open without crushing the crisply sheared boxwood. The trees in this attractive rural gravel driveway remain highly vulnerable to automobile damage, particularly at night due to their proximity to the driving surface. The new high end front yards can be so small their driveway is crammed into a tiny space. How the adjacent planters and strips are landscaped can either make allowances for these spatial conflicts or make them worse. The challenges are many, and like commercial parking lots, there's the potential of repeated damage to expensive plants if the design doesn't allow for the unique needs of vehicular traffic. These allowances can be scaled down to apply to walkways too, because wheelbarrows, bicycles and pedestrians can cause similar problems. Everyone has stepped out of a car parked too close to an edge to find they're standing in the landscape planter. For high heels, this is a serious safety concern. It also explains why so many parking lot landscapes are damaged and worn. While tight spaces aren't a problem much of the time, you must design to meet the needs of those dressed for the corporate office or evening parties. 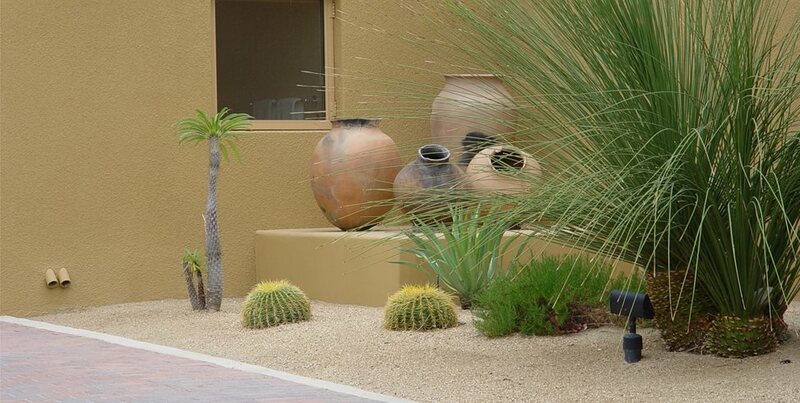 To protect shoes, nylons and finely woven fabrics, avoid woody plants along paving edge. Keep them back far enough to avoid snags, pollen, dust or scratching fine leather shoes. Though carpet roses are an excellent plant for driveway edges, they do bear small thorns. If too close to the paving, getting in and out of a car without snags can be problematic. 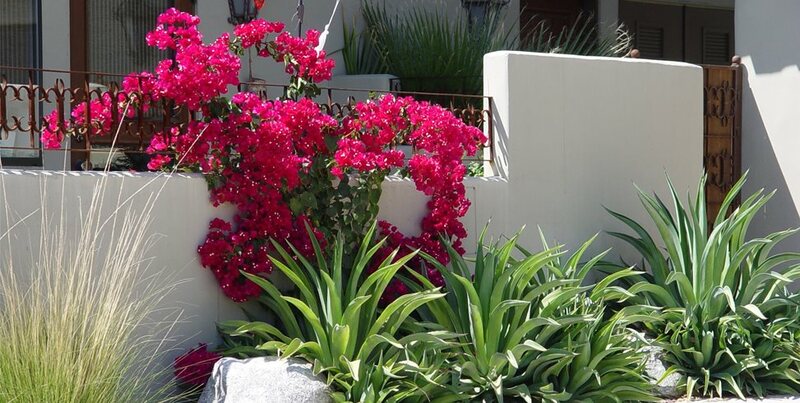 Keep these plants well back from the edge where the best choice will be low growing heat loving low spreading shrubs. 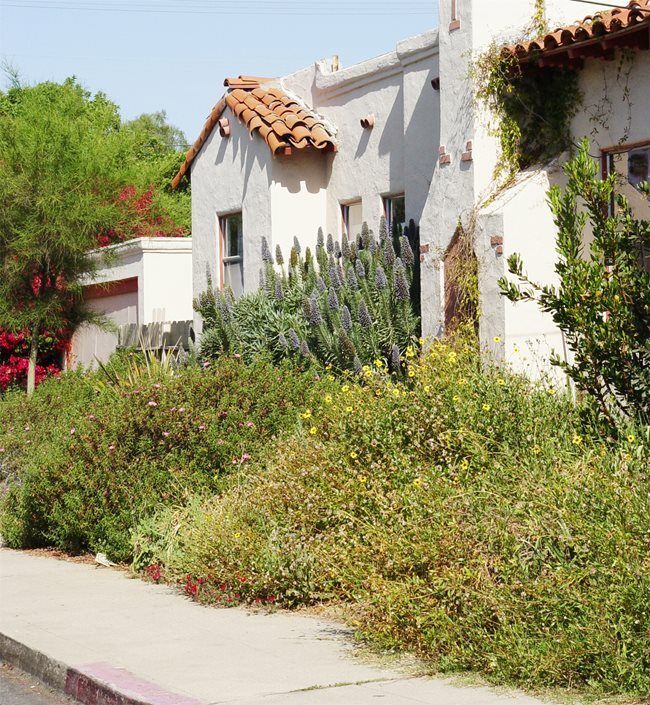 The same can be said for entry walks or sidewalks with large adjacent planters where plants may extend beyond their allotted space to encroach on the walking surface. Pro Tip: Always remember your car has four sides, and clearances should be considered for engine compartment and trunk, bed or hatch without impacting adjacent planting. Pro Tip: If space permits, provide an additional two feet on either side of a driveway parking space to allow passengers to get in and out cleanly. Pro Tip: Change the color of your paving to show visitors exactly where to park their car to prevent them from rolling to a stop too close to the edge or even beyond it. Parking lot shade trees are battered by vehicle bumpers that overhang edges of paving. Unless curbed or provided with wheel stops, a vehicle can extend up to three feet beyond the front edge of the tire. Anything in this realm, be it a tree trunk or an Indian hawthorn will be damaged unless it remains low growing enough to fit nicely underneath the car. When a tree is bumped by a car, the impact strips away bark and crushes the conductive tissues underneath. The resulting wound becomes a perfect entry point for parasites, which usually kill or deform the tree. This is why parking lot planters must have curbs, and your nose-in parking areas should be similarly protected by curb stops. There are other ways cars damage planting. When pulling in side-on to the planter, the wheels may be just inches from the pavement edge. In this position the door will swing out well into the planting to impact trees and shrubs located there. Pro Tip: Set trees back from pavement at least three feet for cars and four feet for trucks to protect it from bumper or door damage. Pro Tip: Avoid tree species with very invasive or surface rooting tendencies that can damage the adjacent driveway because roots seek out moisture that accumulates beneath the paving. To be sure, plant young trees with Deep Root barriers to prevent surface root development. 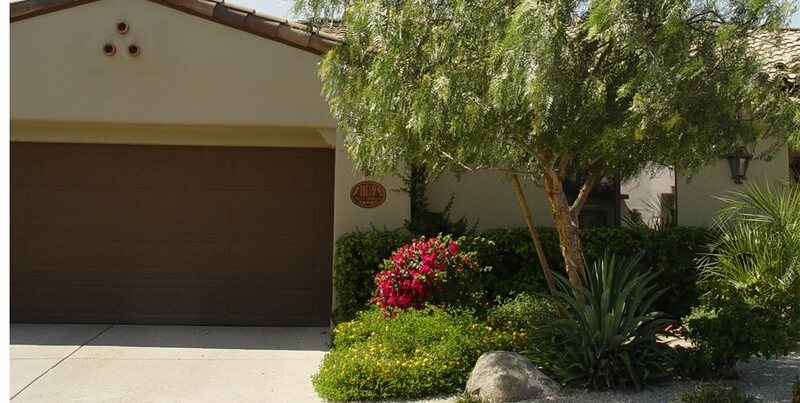 Because your car and that of your guest is valuable, the conditions around your driveway are important to keeping it clean and well protected. 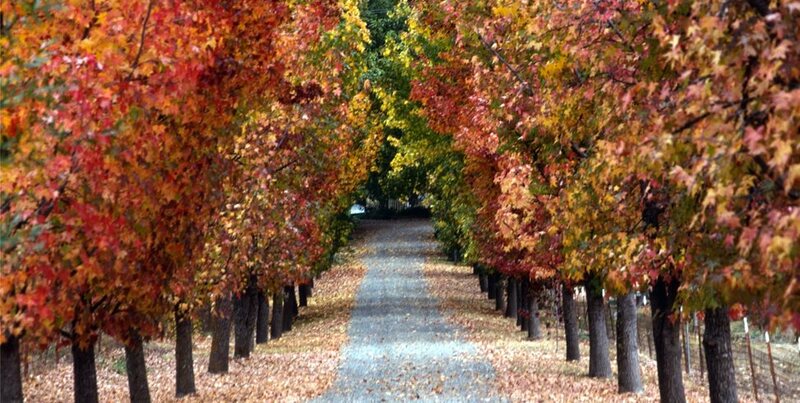 Trees located where its canopy will overhang the driveway must be carefully selected to produce minimal litter that could cause damage to autos. All types of fruit should be avoided. Acid from falling ripe fruit damages paint and can etch glass. Birds will flock to such a tree, consume the fruit overhead then defecate. This not only creates unsightly spotting of a car, it can permanently stain paving. Small homesites or a poorly designed driveway with tight turning radii cause part or all of a rear tire of longer vehicles to roll off the edge of paving. This not only creates ruts, puddles and brown edges, it mars a clean tire with mud. Insist your designer provide generous turning room with a radius at least 17 feet on the inside. 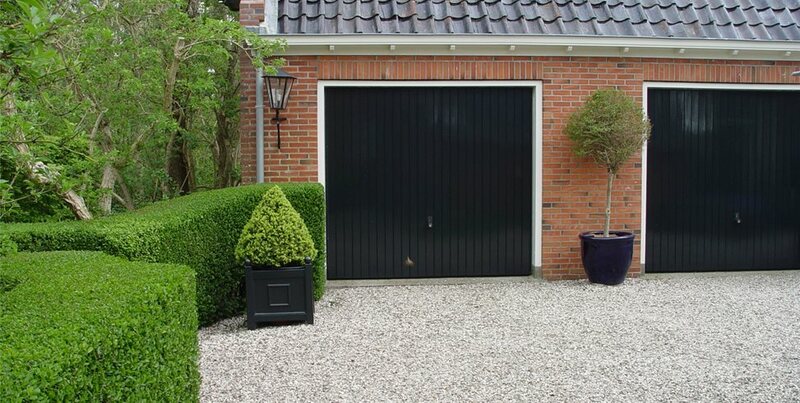 The same applies on a curved driveway or in association with back-up space. To resolve an existing problem, install turf block units that support vehicle weight while allowing grass to grow through a concrete matrix that prevents rut formation. Wherever there is irrigation, you chance that wind will cause water spots on your car. In windy sites it is advisable to use drip or bubbler irrigation or stream-spray heads for lawn upwind from parking areas to reduce the chance of drift. 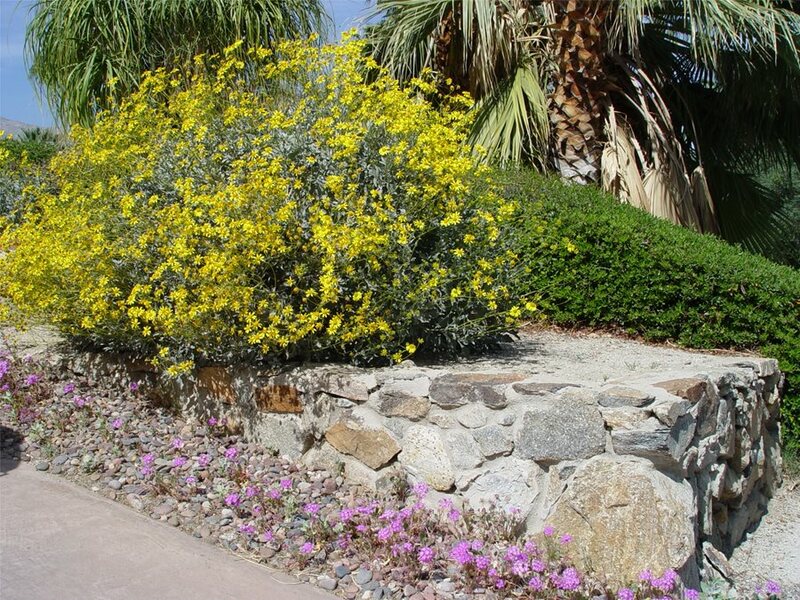 Large shrubs can, over time encroach along extended driveways. If not cut back there is risk to the paint as you or a guest drives by. 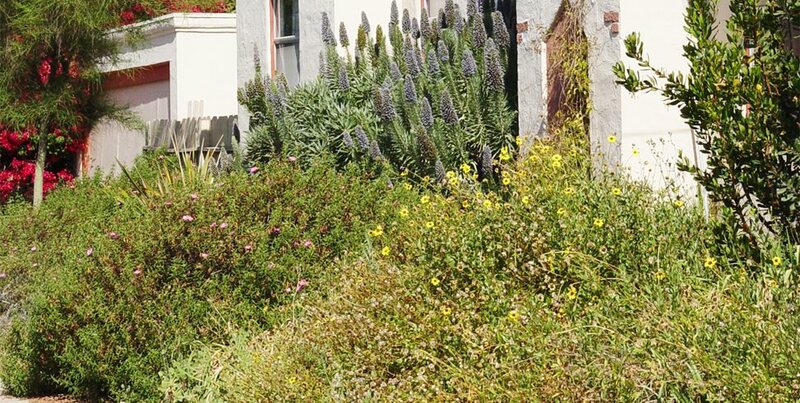 Carefully select shrubs here to fit the space provided so you are not doomed to perpetual shearing to retain driveway clearances on both sides. Pro Tip: Beware of sprinkler heads located adjacent to paving where the weight of a car can destroy not only the head but the support piping underground. During the summer months, some driveways get hot enough to fry an egg. That heat is released into the adjacent planting areas making them far hotter than the surrounding ambient air temperature. This creates a hostile environment for plants that may otherwise be happy there the rest of the year. 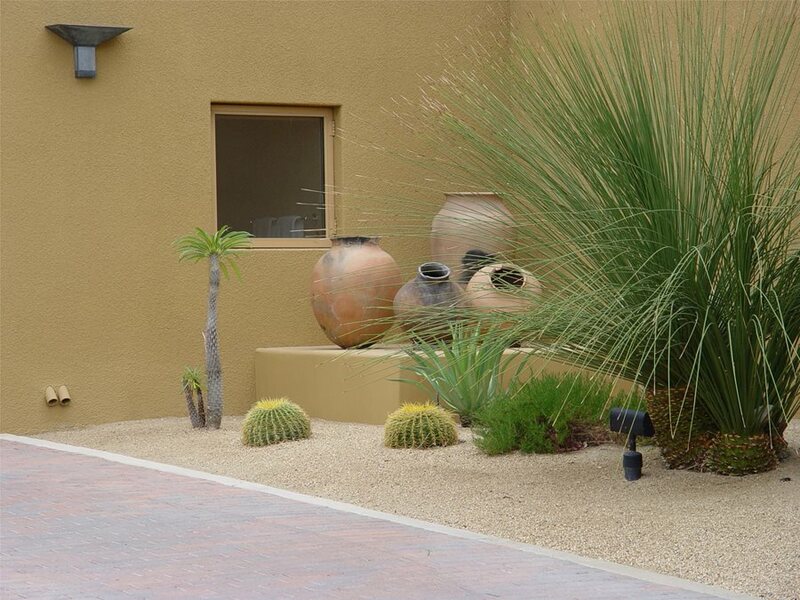 It is essential to plan for such extremes because a single summer heat wave can wreck havoc on driveway planters. This can also impact conditions adjacent to walkways where lawn or tender foliage is singed brown by radiant heat. It is particularly difficult for herbaceous perennials which bear their foliage close to the ground where radiant heat is most intense. To know what plants are sustainable as driveway planting, pay attention to what's doing well in local parking lots. This is essential in the west where dry heat sends temperatures soaring well beyond peak heat of more humid regions. This is not the location to push the envelope of tolerance or experiment with new plants. Winter in the north also presents its own set of problems. Snow cleared from the driveway can build up at the edges where plants are vulnerable to breakage. Where salt is used, the resulting runoff compounded over the years can make adjacent soils highly alkaline too. Plants grown here must be rugged and resistant to damage or restricted to those that die back to the ground.